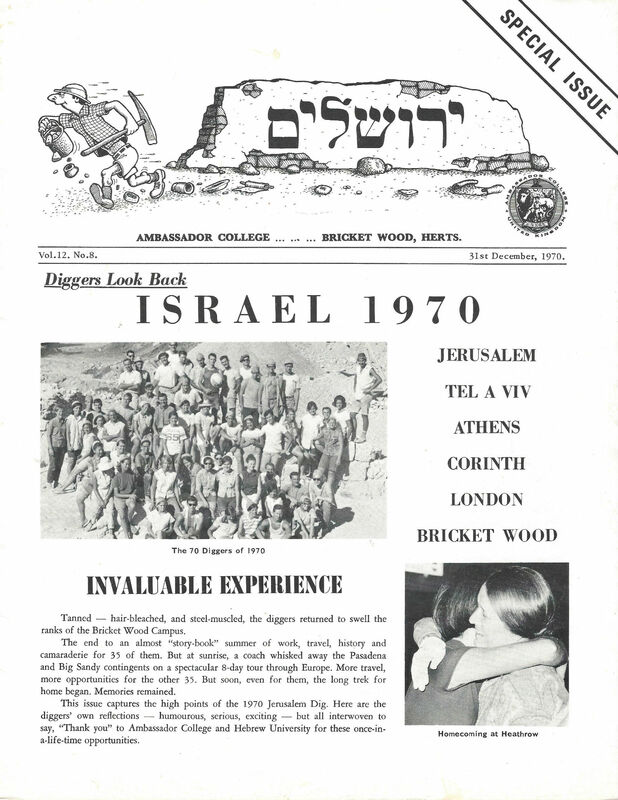 Flashback to the summer of 1970: Ambassador students really dig Jerusalem archaeology. Click photo to enlarge. Israel's birthday is momentous for world history but as it is almost impossible to say anything non-political I want to keep it personal and remember the archaeological dig of 1970 that most in this picture will never forget. My wife, Susan, is second row with cap, dead center, and I'm back row left with arms folded. 70 of us that summer from all three campuses of Ambassador College – England, Texas, Pasadena and we enjoyed living in the Arab Quarter where never was heard a discouraging word.